Spring is in the air! 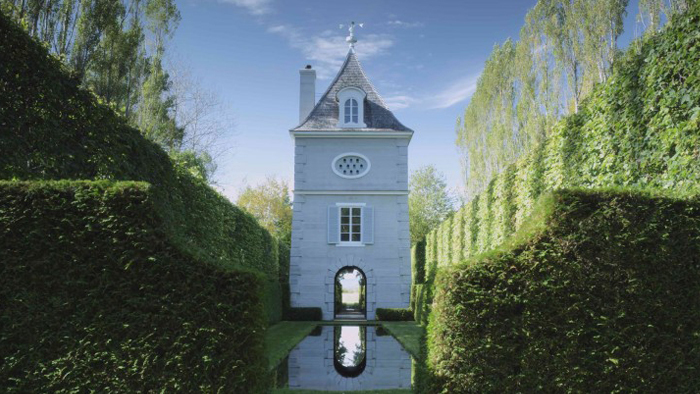 The Gardener opens in theatres this week and takes audiences on a refreshing stroll through the exquisite English-style gardens of Les Quatre-Vents where the late Frank Cabot created an immaculate ode to nature. This film by Sébastien Chabot strolls through the lush art of Les Quatre-Vents to let audiences admire the passion of one devoted horticulturist. Cabot’s meticulously crafted landscape invites an inspiring message about the relationship between humans and their natural surroundings. Read more about The Gardener in the POV interview with Sébastien Chabot! Vancouver’s Linda Ohama returns with her tenth film, A New Moon Over Tohoku. This documentary brings Ohama to Japan to examine the stories of survivors of the 2011 tsunami and Fukushima nuclear disaster. Filmed with virtually no budget and produced in meager circumstances in the aftermath of the earthquake, A New Moon Over Tohoku, offers an uncontrived portrait of the effort to repair the lives of so many people shaken by the event.Read more about A New Moon Over Tohoku in the POV interview! A personal study fuels an engrossing mystery in the festival hit Karl Marx City. Directors Petra Epperlein and Michael Tucker examine Epperlein’s family history in East Germany as they trace the footsteps of her late father, who committed suicide when rumors implied an association with the secret police. The quest turns the magnifying glass onto the countless lives invaded and overturned by the Stasi’s surveillance. “Epperlein’s personal examination lays bare the unsettling similarities between a documentarian’s camera and those of a bureaucratic state surveillance system,” wrote Jason Gorber while reviewing Karl Marx Cityat TIFF. “The needle-in-a-haystack motif is at play here, and when truths are uncovered they’re both cathartic and complex, revealing how even a small shift in temperament could easily have resulted in different findings.” Read the full review of Karl Marx City here. Docs expanding or holding over this week include the sleeper hit Kedi, which opens in Ottawa at The ByTowne and in Calgary at the Globe Cinema, and continues in select theatres, while Shimon Dotan’s The Settlers returns to Toronto for a theatrical run at Hot Docs Ted Rogers Cinema and Doc Soup Sunday serves up Old Blue Eyes in Frank Sinatra: Voice of America. Dir. Luc Jacquet | France | 89 min. Dir. Annette Baumeister | Germany | 90 min. —>James Kaplan, the author of the definitive, two-volume biography, Frank: The Voice andSinatra: The Chairman will participate in a post-screening Skype Q&A. —>Sébastien Chabot will attend the Saturday 6:30 PM screening for a Q&A. —>Sébastien Chabot will attend the Friday 6:50 PM screening for a Q&A. Dir. Petra Epperlein, Michael Tucker | Germany | 89 min. Dir. Aaron Leaman | United Kingdom | 60 min. —>Each screening will feature a Q&A with The Canadian Company of Pilgrims (CCoP) after the film. Dir. Linda Ohama | Canada/Japan | 98 min. —>Linda Ohama will be present at opening weekend screenings. Dir. Anthony Wallace & Calder Cheverie | Canada | 65 min. —>a live music performance by an unplugged string quartet will begin at 6:30pm, followed by the film at 7pm. Dir. Kohl Harrington | USA | 70 min. Dir. Ken Burns, Sarah Burns | USA | 2012 | 119 min. —>Award-winning Toronto Star national security reporter Michelle Shephard will be in attendance for a post-screening Q&A moderated by film critic and author Geoff Pevere. Dir. Tony Palmer | UK | 1972 | 104 min.